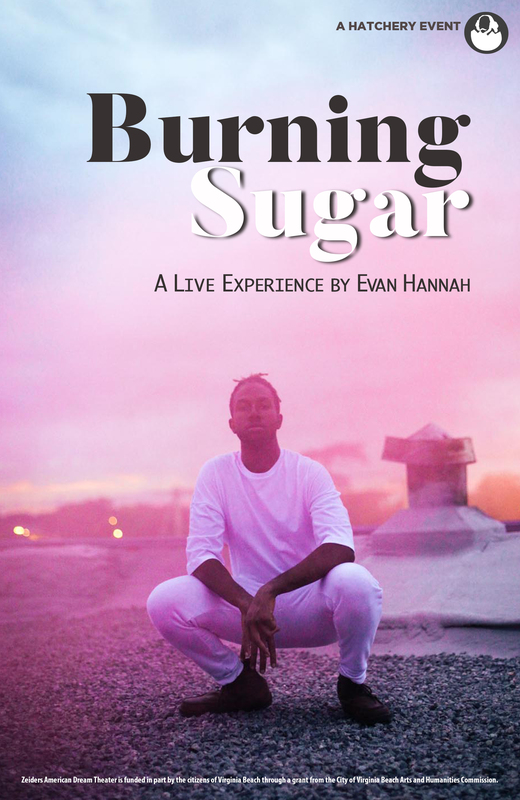 Burning Sugar is the concert experience supporting Emerging Artist Evan Hannah’s upcoming project Hissing Sounds. Visually, Burning Sugar is arrestingly intimate story of a black American Boy. It opens up his journey with the light and the dark touching on queerness, child abuse, and more, through the media of songs, video, lights, and magic. This one-of-a-kind show crosses traditional theatrical borders as the narrative unwinds, blurring the distinction between play, concert, performer, and audience. Join us as the first audience to see this fully staged production. Zeiders American Dream Theater is funded in part by the citizens of Virginia Beach through a grant from the City of Virginia Beach Arts and Humanities Commission.